Cotton lawn is one of my favourite fabrics to sew with and this Cotton and Steel lawn was on its way to me as soon as I saw it. 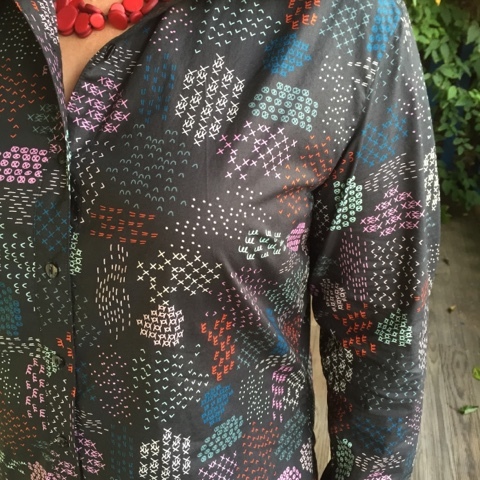 I think the print is called Macarame and I could not love it more. I knew it needed to be a shirt dress, but I was finding it hard to choose which one to use. 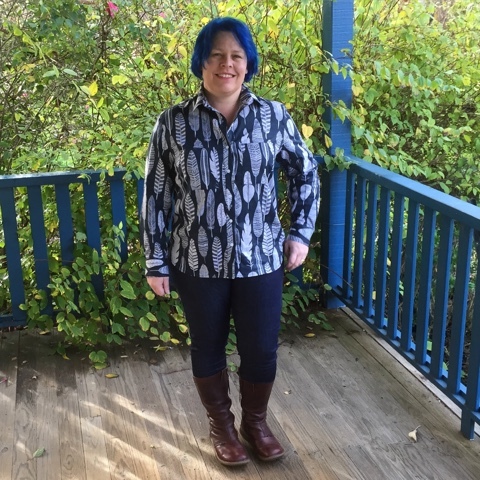 Last week I wore the Grainline Archer Shirt I made last year. It appears I never blogged it so here it is. I altered the sleeves and did an FBA last year so I knew all I would have to do was to add some length and maybe make it a little more A-line and I would have a shirt dress that would fit so that is what I did. I think I added 8-9 inches to the length and it's perfect for winter with leggings and boots. What a wonderful shirt! I followed your blog fro mthe CSC post today. Thanks Kay! 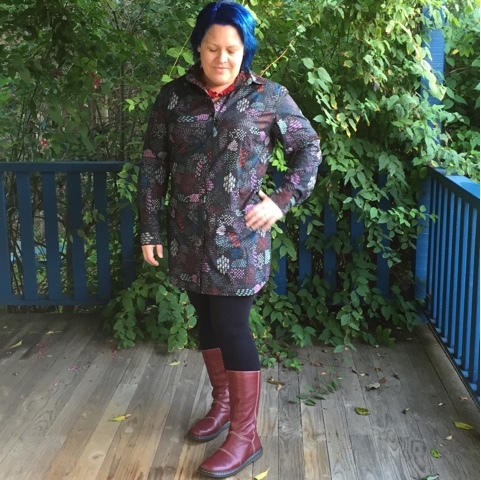 My boots are Dr Martens - they are so comfortable!